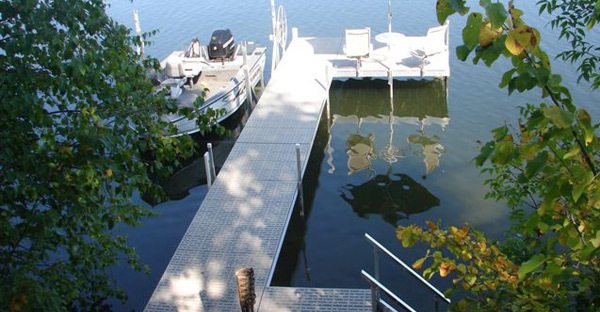 Action Dock & Boat Lift Services is the leading expert for designing and delivering a dock solution for any lakefront or waterfront. 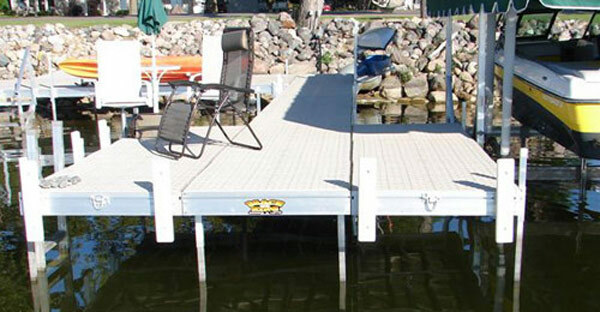 We know that purchasing a dock is as unique as your family. 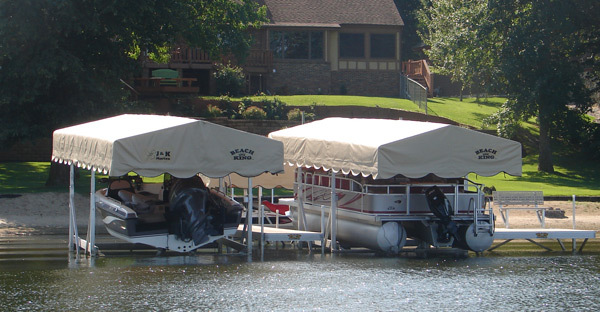 Our expert team will examine your terrain and lakeside area, designing solutions that will fit your needs and your budget. 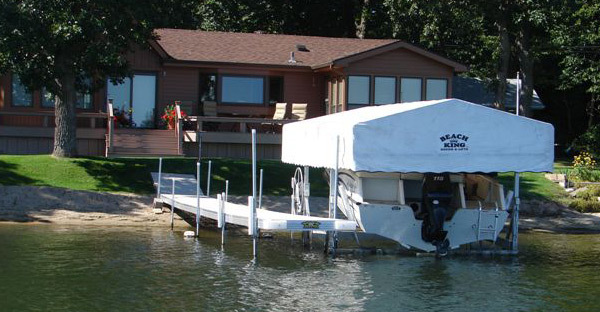 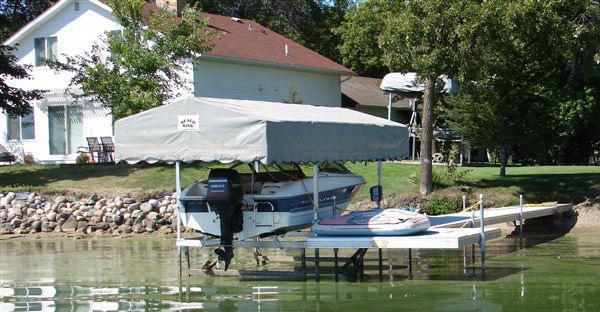 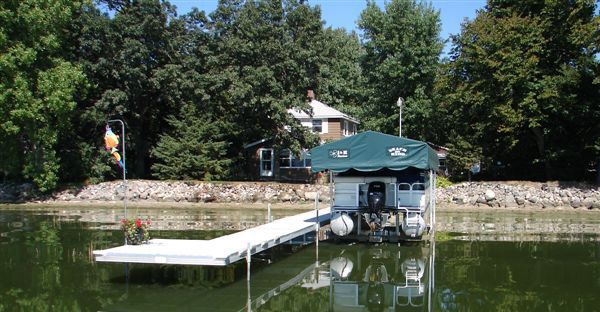 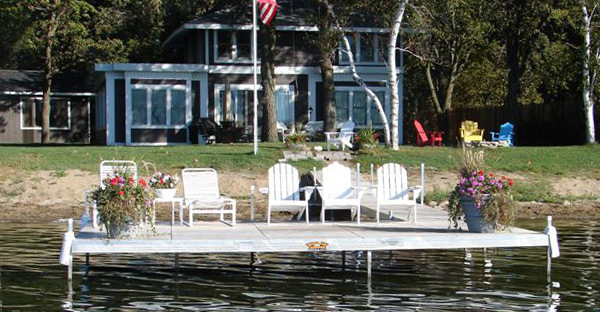 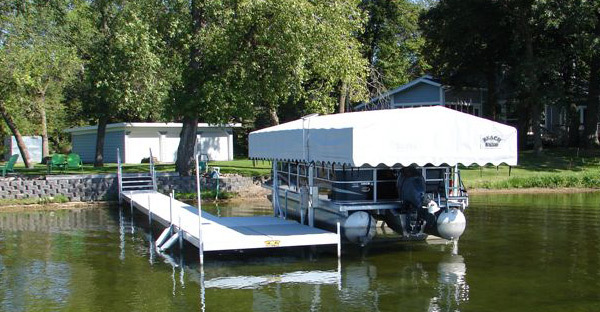 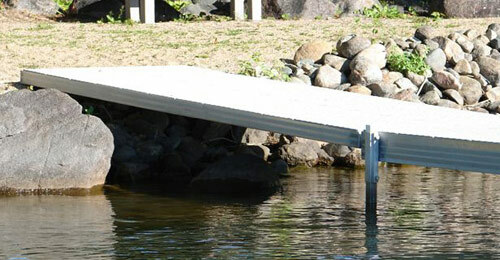 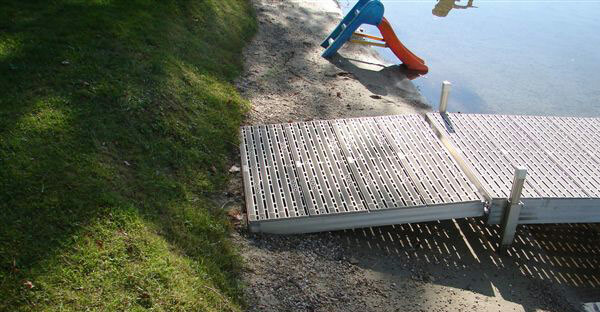 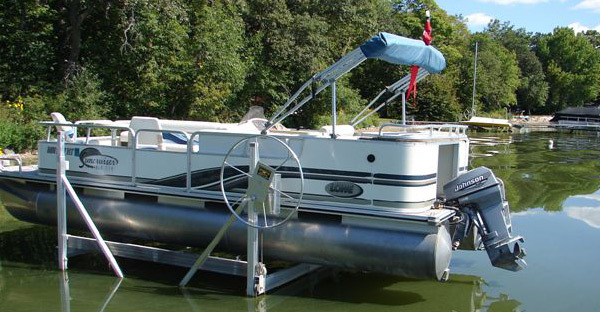 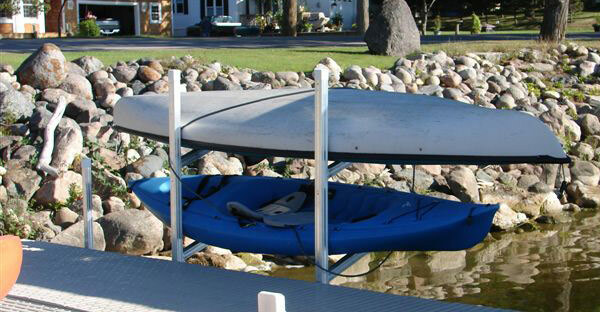 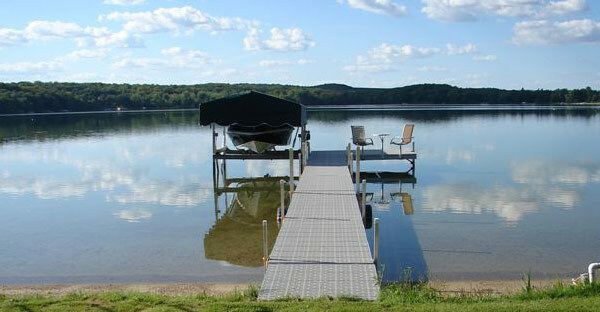 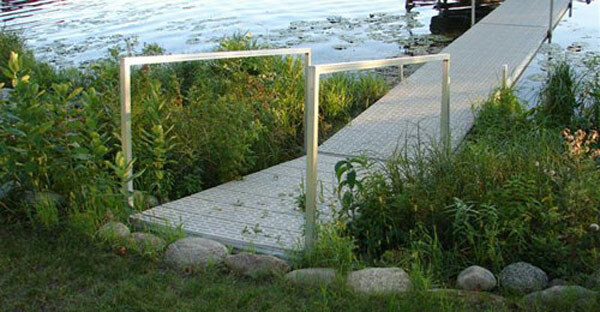 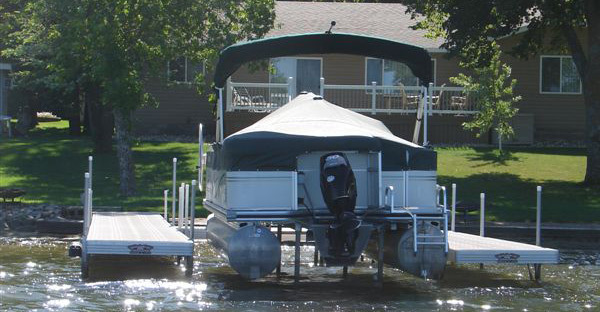 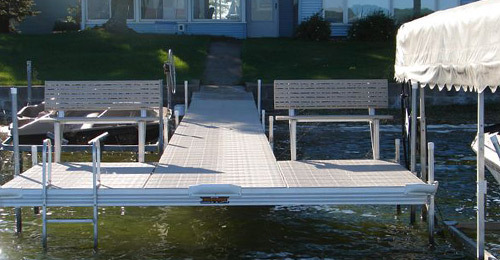 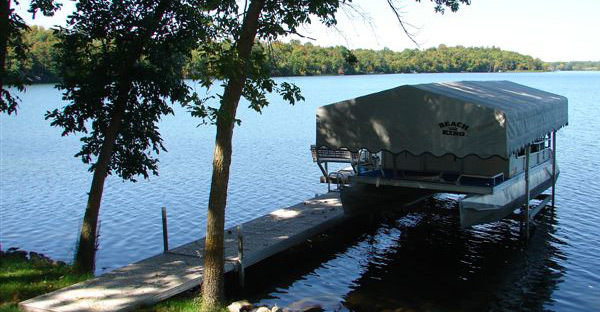 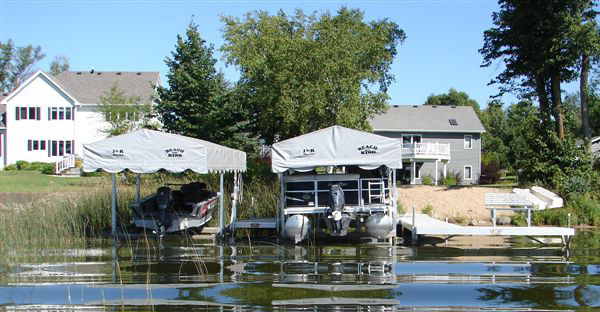 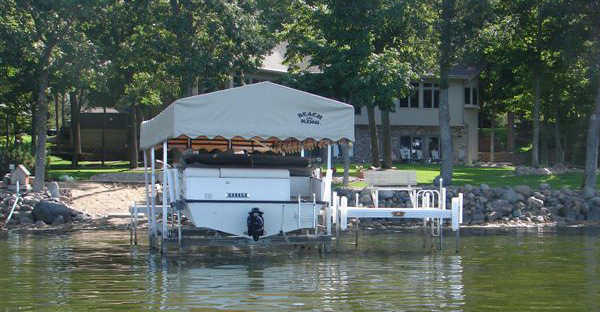 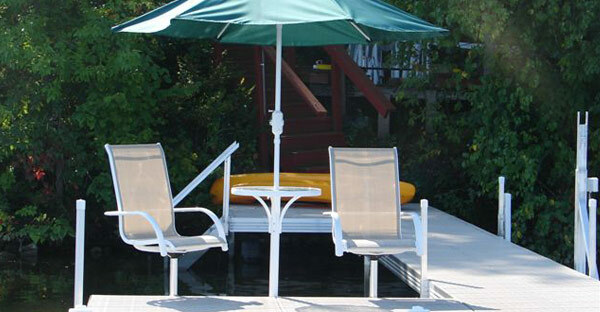 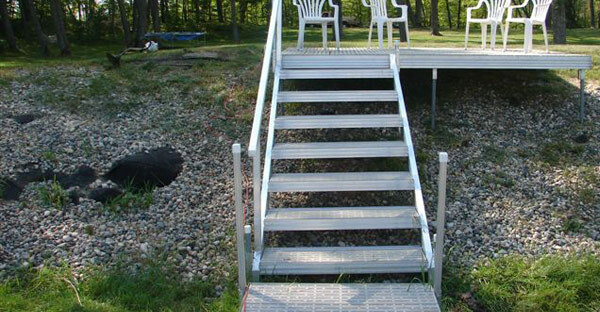 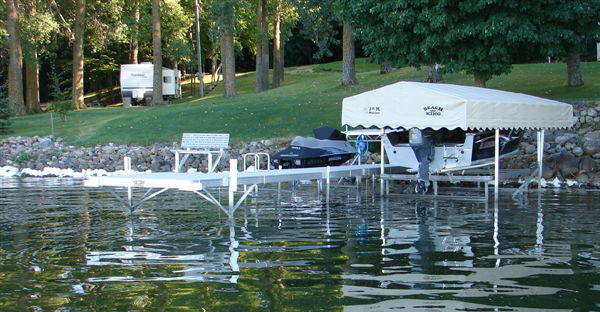 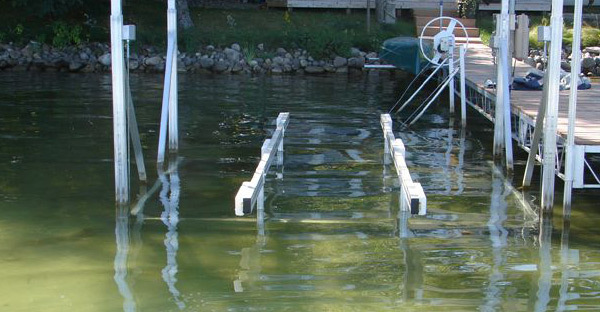 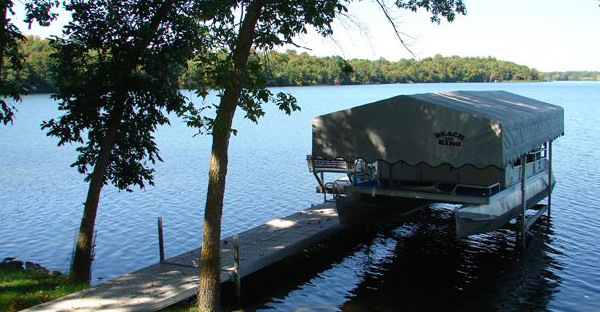 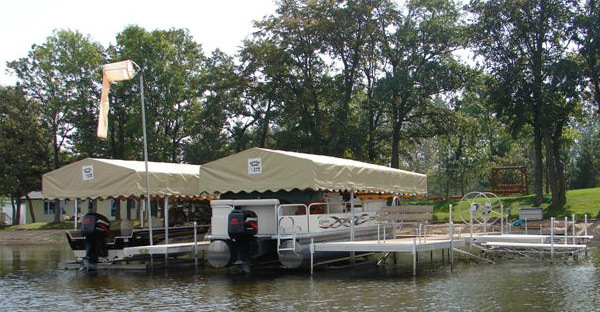 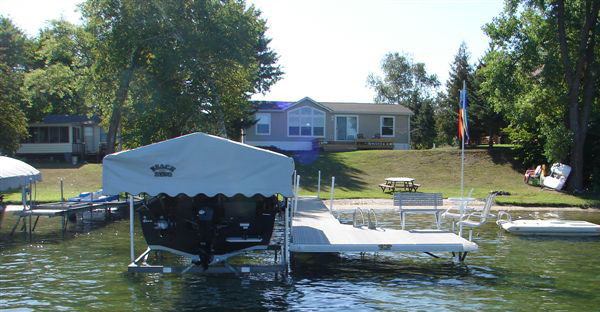 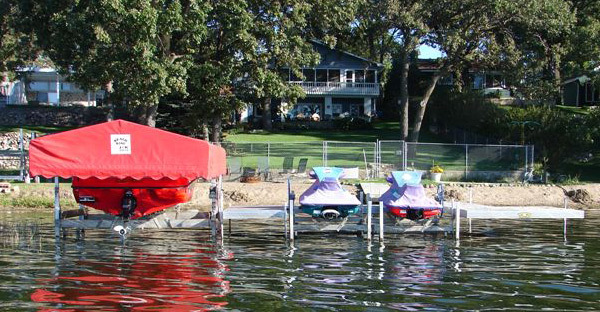 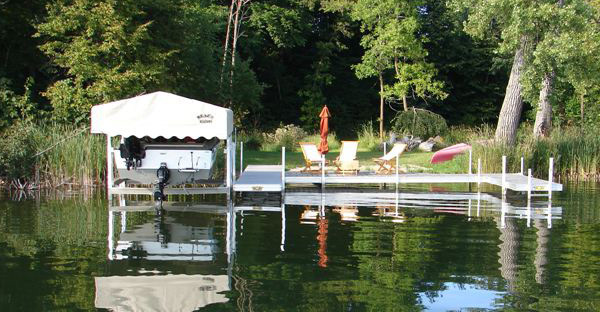 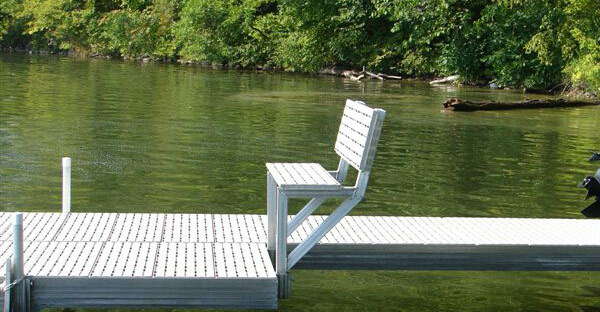 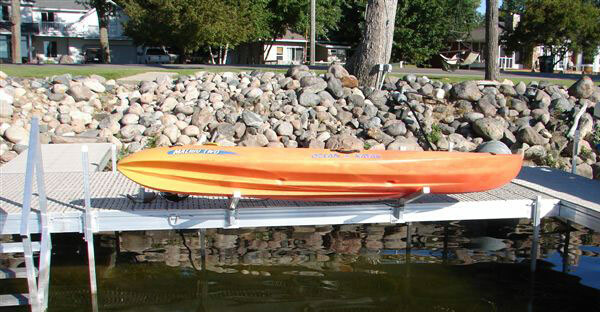 We work exclusively with a Minnesota Dock company to build a dock system that will provide you decades of fun. 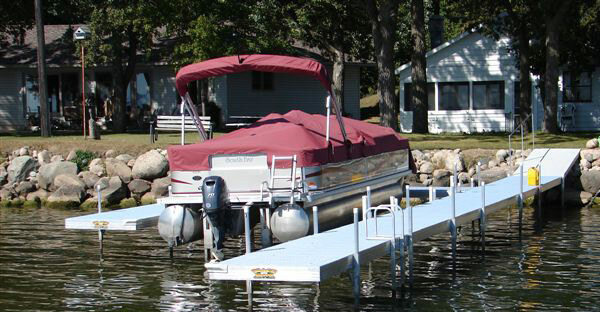 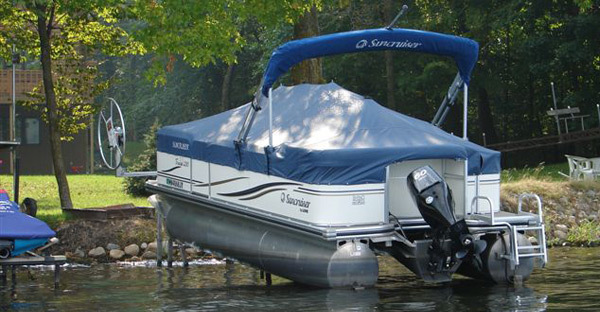 The Ease of adding and removing accessories or dock sections is second to none! 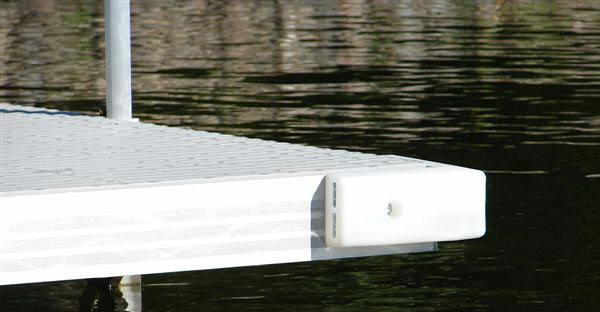 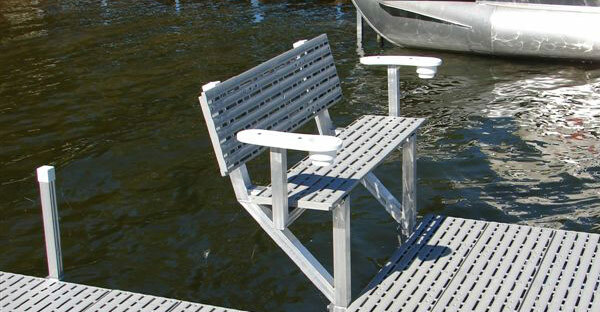 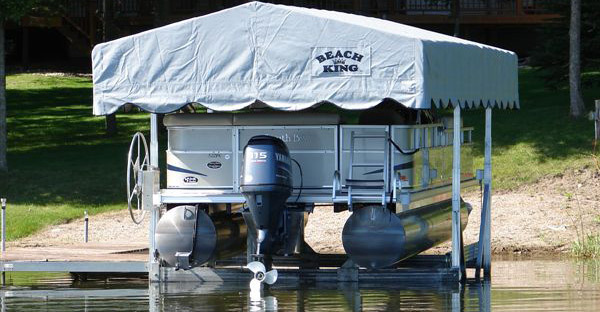 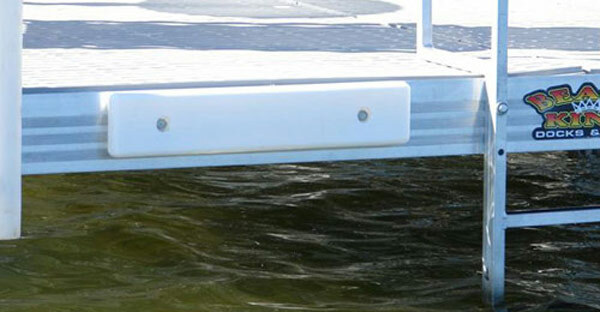 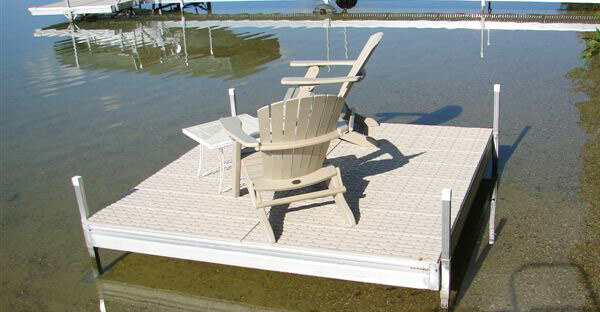 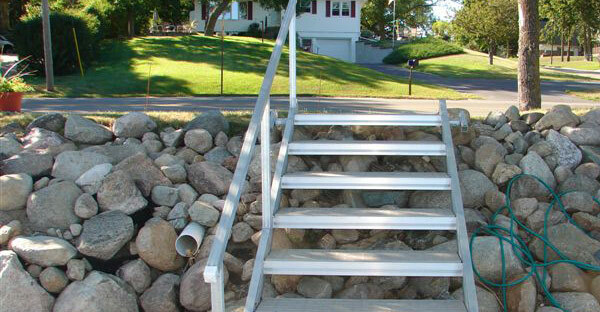 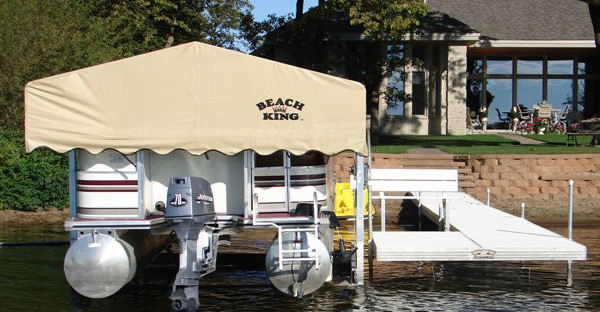 Beach King offers a Huge variety of accessories for your dock system. 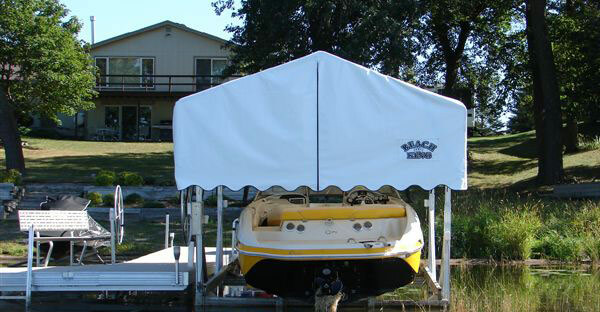 We will also custom make accessories to fit your needs. 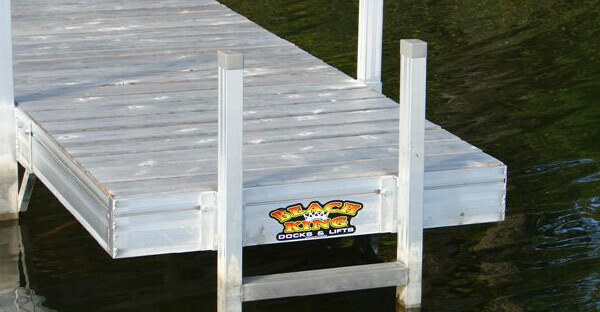 With a 2" wide by 7" tall frame the Beach King dock only needs support legs every 16ft and is still stronger then most other docks. 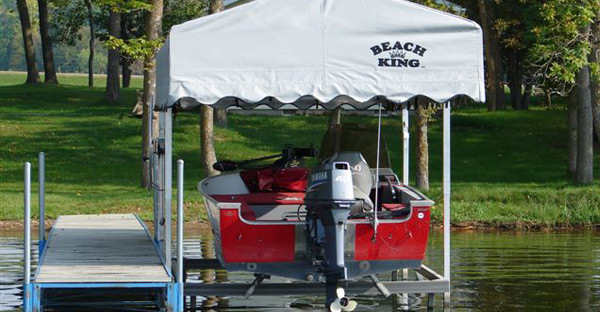 Beach King dock frames are all welded together instead of bolted. 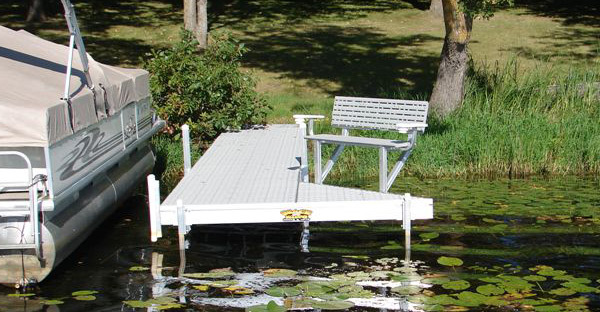 This creates a much stronger and sturdier dock. 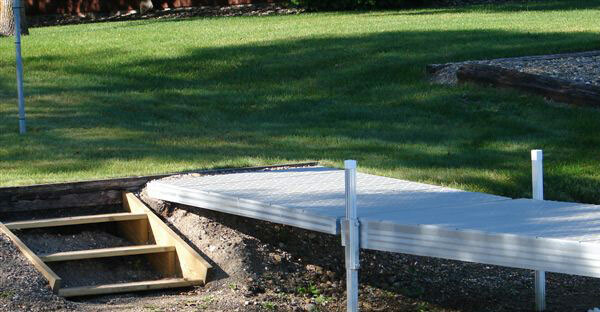 The sun decks can be welded on or made removable (customers choice) a welded sun deck is much more stable then bolted together. 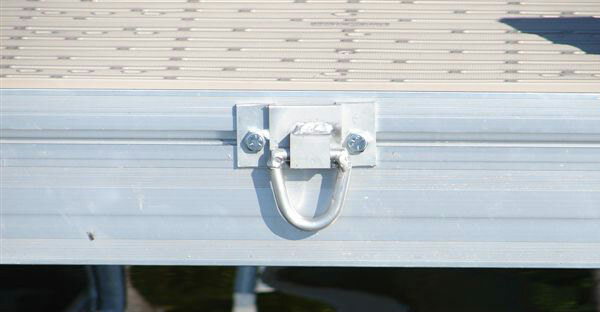 The axle and support legs can be either on the Inside of the frame work or on the out side. 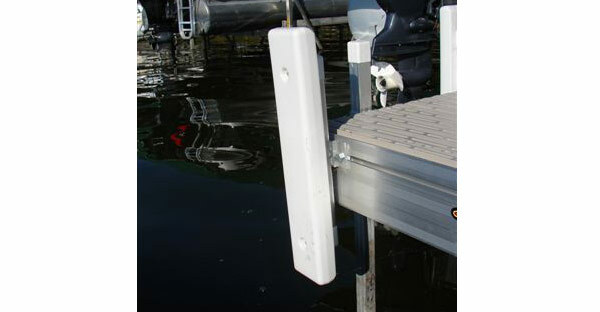 We have Three different ways to adjust the dock height from just Set Bolts to Screw Jacks or Winches that slide on the top of the legs. 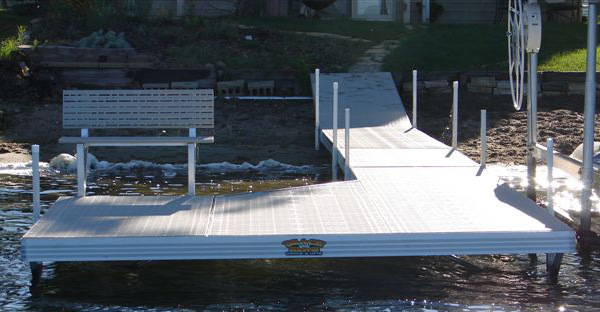 We range from 3ft to 8 ft wide docks with as big as sun decks as the customer wants. 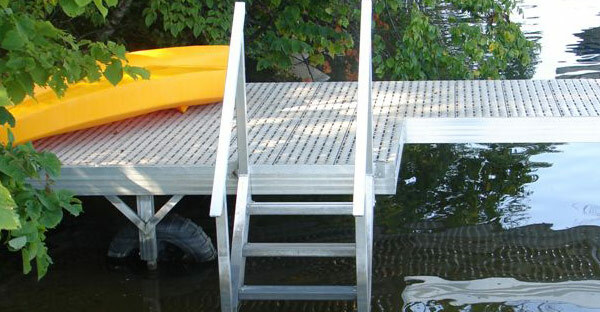 We have 8ft 12ft 16ft 20ft and 24ft standard sections. 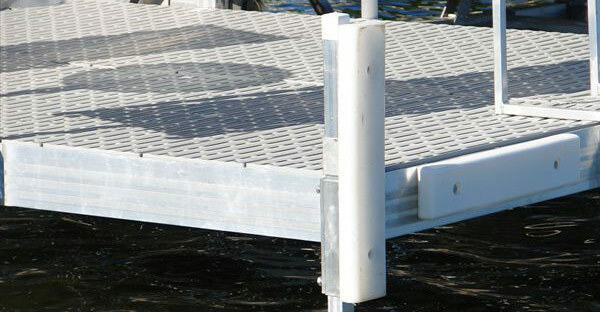 The less splices you have on a roll-in the dock the stronger dock you have. 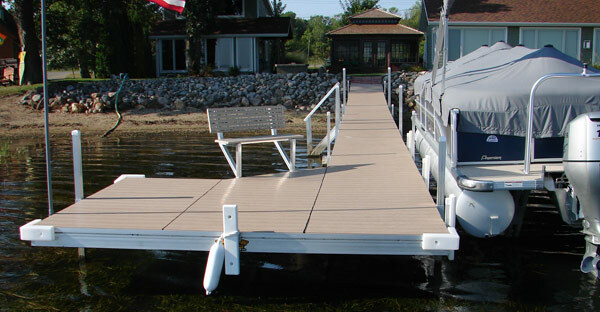 We offer many different kinds of decking to fit customers wants and needs. 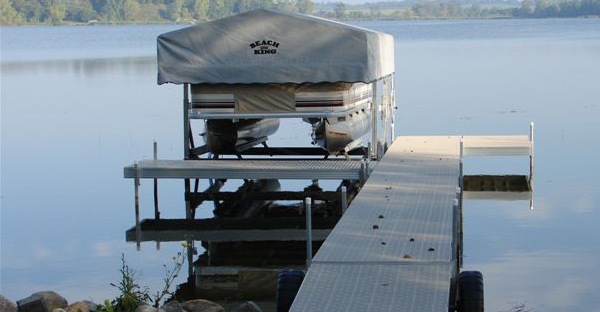 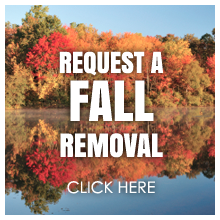 Action Dock & Boat Lift Services will work hands on with you to meet all of your boat/pontoon lift needs. 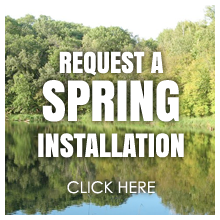 Our customers have praised us for exceeding expectations through our superior product lines, expert installation, and unmatched customer service. 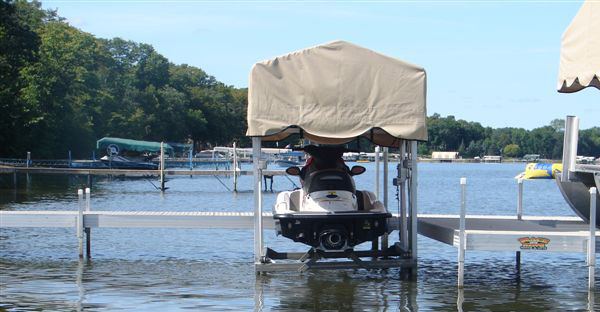 The team at Action Dock & Boat Lift Services has the dock and lift accessories to help you optimize your waterfront experience. 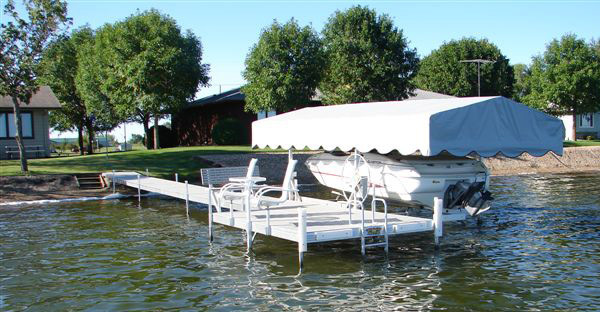 Whether you are looking to add on, repair or enhance we can help you find accessories to fit your needs.